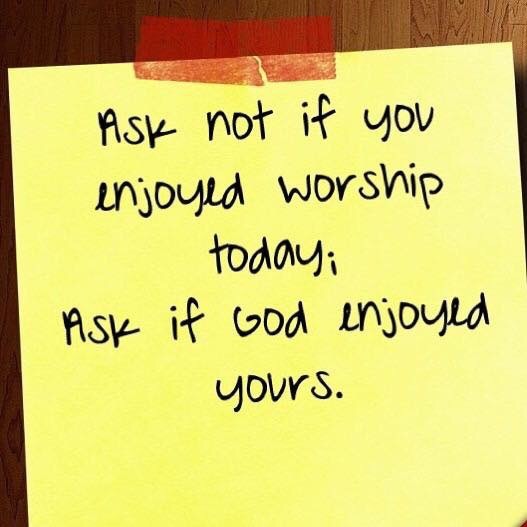 Such an important distinction for remembering is that our Worship is for God, not for man (us or anyone around us). After all; God made the Sabbath for man, not man for the Sabbath. It is our weekly opportunity to give thanks and honor to the One who gave us our existence. And maybe God gets proportionately as much joy out of our worship as we do. There is nothing sadder than to be in the company of someone who is not enthusiastic about being with you; especially one we love.